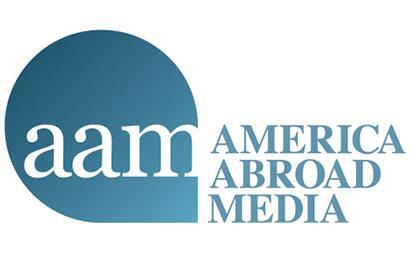 WASHINGTON, DC – America Abroad Media (AAM) today honored four individuals who demonstrate the power of the media to inform, educate and inspire at its sixth annual awards dinner. AAM recognized Bernard Henri Lévy, Haifaa Al-Mansour, the first female filmmaker in Saudi Arabia, along with writer and producer Wahid Hamed and director Marwan Hamed for their unheralded commitment to purpose driven content. French filmmaker Bernard Henry Lévy, was recognized for his powerful documentaries that embody his passionate commitment for bringing the world’s attention to the Kurdish fight against ISIS, and the values that Kurdistan represents. Lévy’s indelible images uniquely capture the human emotion from the front lines of the war. Filmmaker Haifaa Al Mansour’s success has influenced a new wave of Saudi filmmakers. She was honored for her courageous and pioneering career as the first female film director from Saudi Arabia and her dedication to empowering women through film. Wahid Hamed, one of Egypt’s most acclaimed screenwriters and producers, and his son, prominent Egyptian filmmaker Marwan Hamed, were honored for their distinguished careers in cinema. Their two remarkable career paths, when viewed together, provide Americans with a microcosm of the history of Egyptian entertainment and its role as a catalyst for new national conversations. Distinguished hosts for the evening included AAM’s founder & president Aaron Lobel, Co-Chairs General Michael V. Hayden, Former Chairman of MGM Studios and Paramount Pictures Frank Mancuso, Sr., Former Assistant Secretary of State Victoria Nuland, Motion Picture Association of America (MPAA) CEO Charles H. Rivkin and former Michigan representative The Honorable Mike Rogers. Members of AAM’s Hollywood-Middle East Initiative including Bill Macdonald, writer and executive producer, Rome and Rough Riders, Jessica Mecklenburg, writer and producer, Stranger Things and Gypsy and more were in attendance. Past honorees include H.R.H. Princess Rym Ali of Jordan, journalist and the founder of the Jordan Media Institute (JMI), Hend Sabry, a renowned Tunisian actress and producer, award-winning directors Kathryn Bigelow and Paul Greengrass; HBO’s critically acclaimed series, Homeland; Bollywood actor Aamir Khan; Saudi actor and comedian Nasser Al Qassabi; and CEO of twofour54 Abu Dhabi Noura Al Kaabi, among others. In addition to recognizing this year’s exceptional honorees, Lobel announced the launch of a new for-profit production company Black Birch Productions and spoke to the success of AAM’s Hollywood-Middle East Initiative, Screen Buzz, launched at last year’s awards. Over the past year, Screen Buzz brought top Hollywood writers, directors, and producers to the Middle East to lead workshops with members of the local creative communities.